At each meal, Dimka outdoes herself; we feel she would easily win a Master Chef competition as she is capable of turning the simplest dishes into masterpieces of innovative creation. Her cooking is based on family recipes, but she improvises with local ingredients, many of them homegrown or, as in the case of dandelions, picked in the surrounding meadows. Guests are asked in advance what they like to eat – we specified that we don't eat pork or seafood – and our hosts catered to this request. Darina never knows what Dimka will include on the daily menu; the menu selections are a surprise for her as well. In the evenings we eat fresh beet salad and green salads including shopska, which is basically a Greek salad covered with a sprinkling of a white, salty cheese similar to feta. 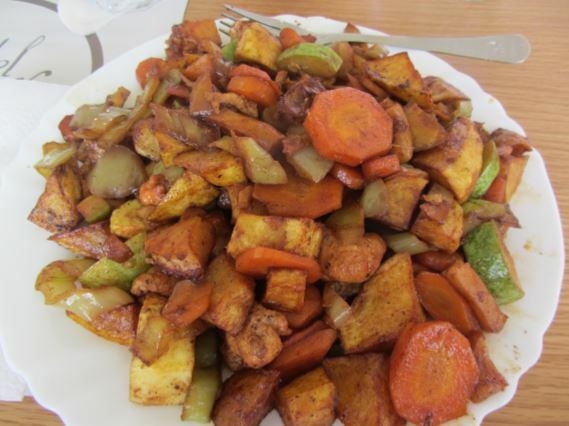 Potatoes are the main starch of the Rhodopes. 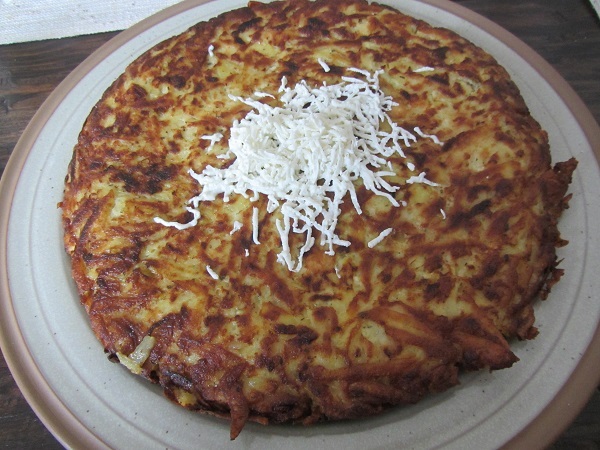 Patatnik arrives at our table; I describe these tasty fried patties as latkes on steroids. 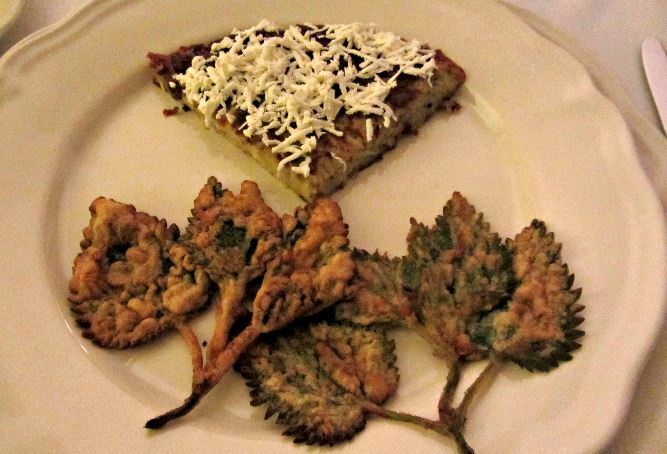 One specialty dish which we can't identify turns out to be lightly fried nettles – delicious. Bulgarian yogurt is probably the best yogurt in the world, due to the aptly named Lactobacillus bulgaricus bacteria. 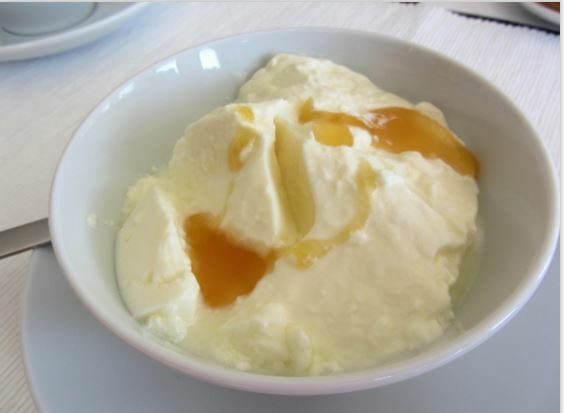 Bulgarian yogurt topped with homemade honey or jam is simply divine. At breakfasts we also eat banitsa – a traditional filo pastry stuffed with either cheese or pumpkin – and palachinki, which are crepe-like pancakes. 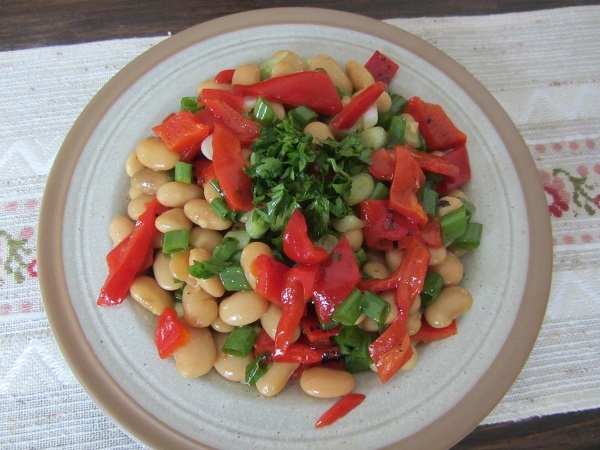 Other dishes typical of Rhodope dining are Smilyan bean salad served with roasted peppers and onions; hominy sindermio, which is made from coarsely ground corn, butter and cheese; and a huge selection of fresh salads. 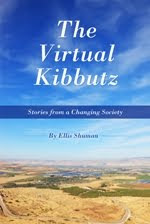 Those who maintain kosher-style lifestyles will have no problem dining in the Rhodopes, although many restaurant owners don't speak English and their menus are only available in Bulgarian. Gela village is quite small; only 37 residents live there year round. Each family has its own vegetable plot, and in some cases, its own cow. Bells can be heard on the hillsides as goats graze amidst the thick summer grasses. Before 1944, local shepherds would herd their flocks into Greece. 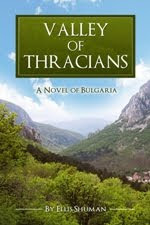 The village is famous as being the birthplace of Orpheus – the mythical Greek musician, poet, and prophet. Legends of Orpheus center round his musical attempts to rescue his wife Eurydice from the underworld. We would soon see where this legend was born. A few words should be said about the music and traditions of the Rhodopes. The mountains are the best place in all of Bulgaria to hear the gaida, a sheep- or goat-hide bagpipe common to the Balkans and southeast Europe. Gaidas look and sound very different from the bagpipes of Scotland. The kaba gaida is much larger and lower pitched than other instruments and is native to the Rhodopes. A gaida festival is held annually near Gela. I find the lyrical call of the gaida mesmerizing, but it is often accompanied by incomprehensible verses describing love and village life. Another annual event is held in March in Shiroka Laka. Men dress up as animals with colorful masks on their faces and bells ringing from their waists. These strange mummers are called kukeri; they dance through the streets in efforts to chase away bad thoughts and evil spirits. 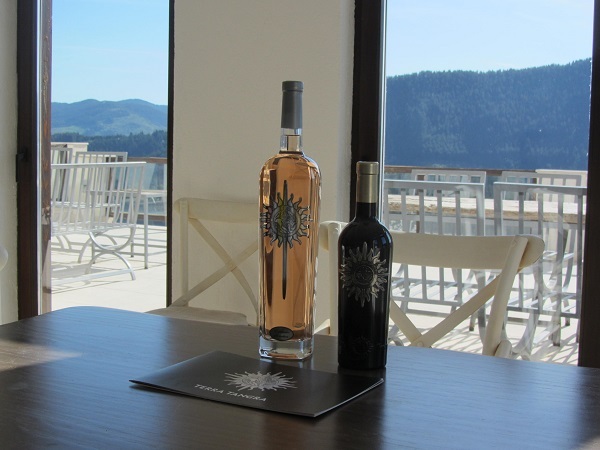 At all times of the year, the Rhodopes serve as a popular destination for visitors. One of the most striking natural features is Trigrad Gorge, a canyon of vertical marble rocks. The Trigrad River flows through the gorge until it plunges into one of deepest, most mysterious caves in Bulgaria.